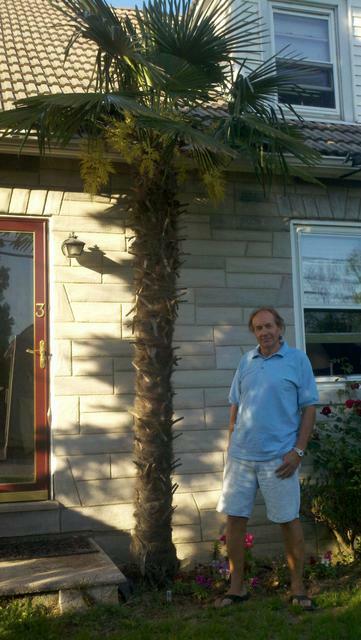 Bob Anthony has grown this Windmill palm tree outside and up close to his Reading, PA house for about 17 years! 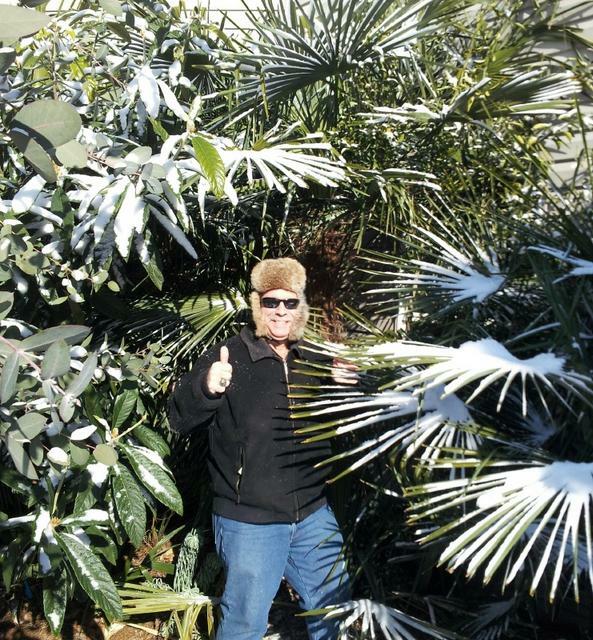 Boca Joe strikes a pose in Panama John's snow covered garden in Northern Virginia. 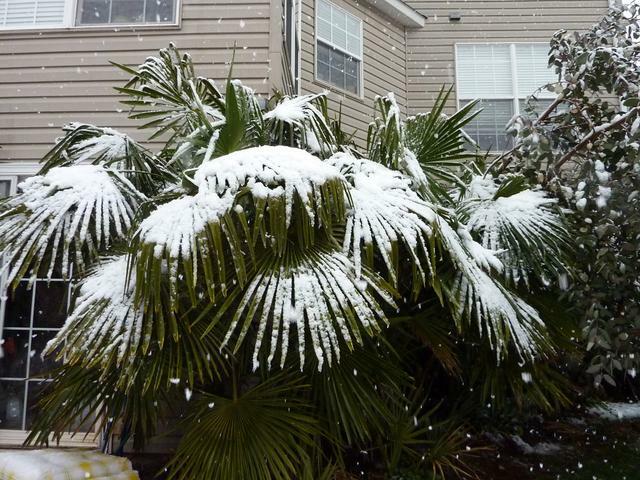 WE AIN'T IN FLORIDA ANYMORE BOYS and GIRLS! 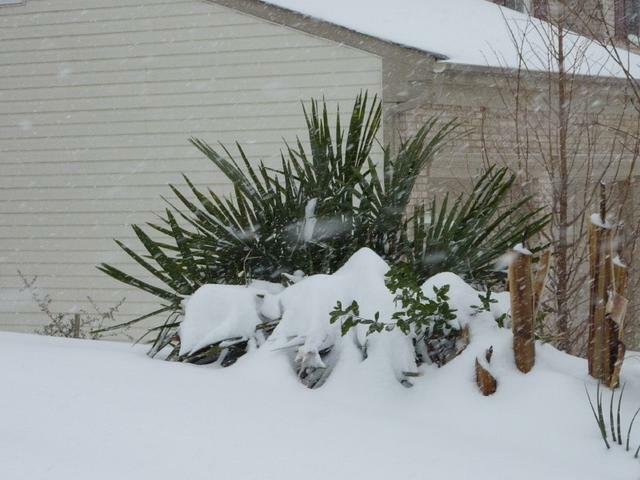 "shak'in that snow and cold off this bush here boss"